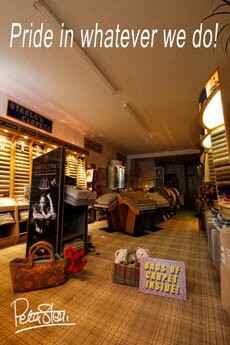 Steele's Carpets opened it's doors for the first time in 1992. Until March 2011 we traded as "The Carpet Centre" in Shaw Heath, Stockport, just around the corner from our current location on Buxton Road, Heaviley, Stockport. Over the past 27 years we have built a reputation for value and professional service, which, we believe, is second to none. More than 50% of our business comes from either returning customers or customers recommended to use us by others. Several 100s of customers have purchased carpets from us on more than 5 occasions! I have over 40 years experience of selling carpets in Stockport!